Coral LED lights illuminate the inside of a box set in Nathan Phillips Square, as fog clouds your sight and a recurring ding fills your ears every few seconds. This is the feeling of complete isolation that many people in Canada face each day. 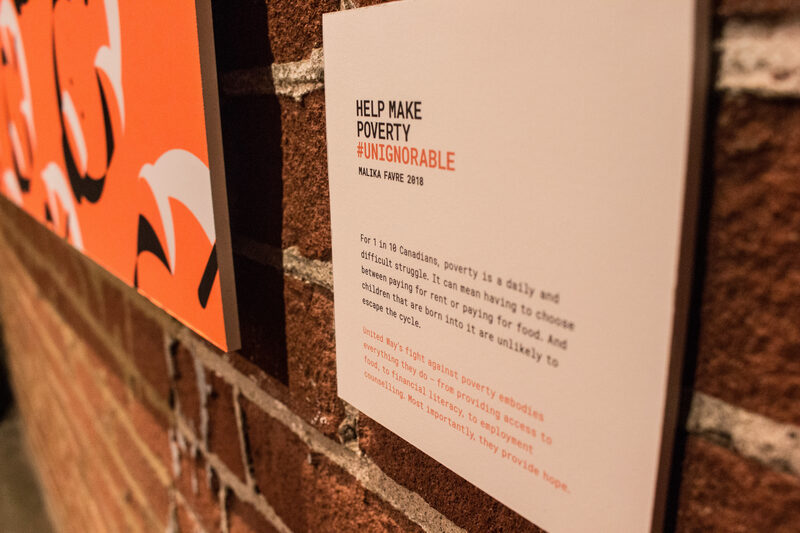 The installation is part of United Way’s newest and largest public awareness campaign to make social issues unignorable. 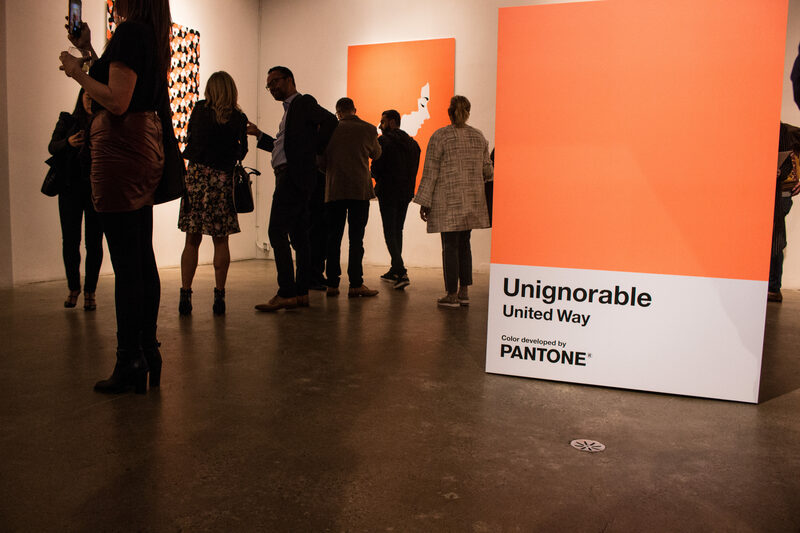 United Way partnered with the Pantone Color Institute to create Unignorable — a bright, neon coral colour meant to highlight Canada’s largest social issues. The one-of-a-kind colour is displayed through a series of original artwork by French illustrator, Malika Favre. Favre has worked with other high-profile clients such as the New Yorker and Vogue. Each illustration represents the country’s biggest social issues, including poverty, domestic violence, youth unemployment, mental health, and homelessness, among many others. 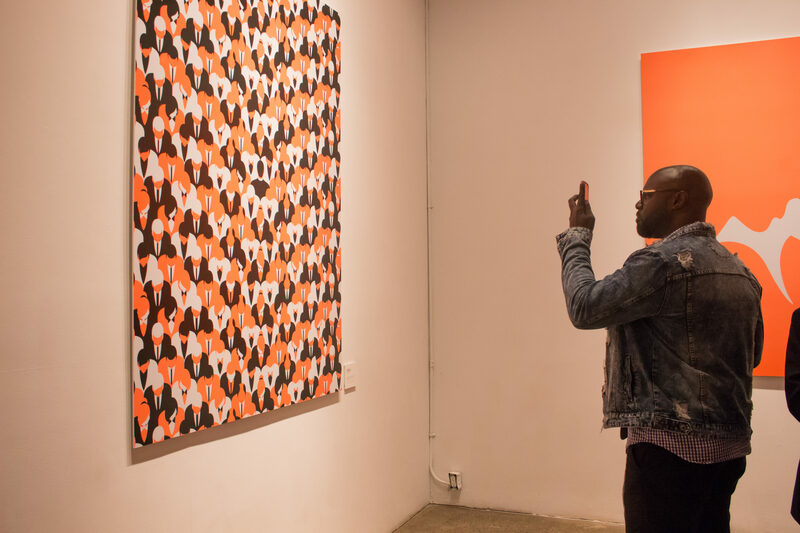 “For United Way it was important to be able to talk about what’s happening in the GTA, and around Canada, and the best way to do that is through art,” said Daniele Zanotti, United Way Greater Toronto president and CEO. He continued to say that art is often used to spark conversations about societal issues and engage the public. “It’s a way for people to stop and listen because it really is so impactful and engaging,” said Alexis Bronstorph, executive creative director of TAXI. TAXI is a branding and marketing agency that partnered with United Way. Together they created the colour with hopes of not only shedding light on the many social issues that often go ignored, but to inspire Canadians to take action towards change. The partnership debuted during Nuit Blanche on Sept. 29, through an interactive art installation intended to provoke the feeling of isolation faced daily by many Torontonians. Article continues after the multimedia. The campaign comes at a time when Toronto’s child poverty rate is the highest among large Canadian cities. According to a report by the Children’s Aid Society of Toronto (CAST), more than one in four children under the age of 18 live in poverty in the city. In Canada, homeless youth (age 13-24), make up approximately 20 per cent of the homeless population in the country, according to statistics from Covenant House. “People might not realize that one in three children are going to school hungry, but they are,” said Bronstorph. According to CAST, poverty in Toronto results in billions of dollars of expenditures on health care, child welfare, social services, policing, and incarceration costs. Much of these costs could be avoided by putting in place poverty reduction measures such as affordable housing, employment and training, and other supports. However, according to Zanotti, without support from fellow Canadians, true change is an impossible task. “It’s important, number one, for Canadians to understand what are the issues in my community because once they see them, they will care about them,” he said. Zanotti said that more Canadians need to care, become involved, and actively volunteer to help solve these deeply rooted societal issues. Ryerson has long heard the call of United Way and is committed to trying to improve local issues. Each year the university runs a United Way campaign where students and staff help raise money to fight local issues, such as poverty. “It starts with Ryerson students. They have participated in our poverty simulation program in the past, gone on neighbourhood tours, and even climbed the CN Tower year after year,” said Zanotti. According to communications staff at Ryerson, the goal for the 2018 campaign is to ensure that the school community understands and identifies with its commitment to United Way. It also ensures that the community continues to support Ryerson’s efforts to level the playing field for people living below the poverty line. Ryerson has the power to help close the gap between challenges like poverty, youth unemployment, and isolation. The university’s United Way representatives said they believe that, together, we can strengthen the social fabric that is vital to maintaining healthy, connected communities. Ryerson’s 2018 United Way campaign will kick off on Nov. 1 with a free pancake breakfast in the Student Learning Centre.